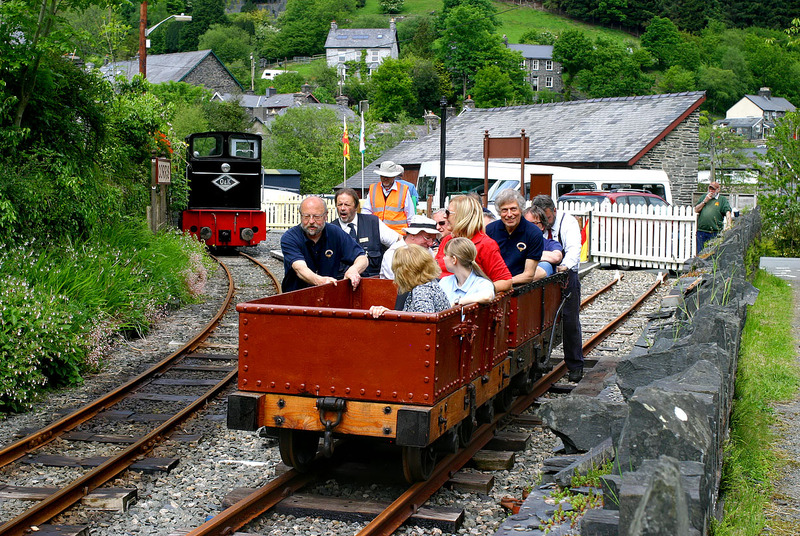 One of the highlights of the Corris Railway's Gala on 29 May 2016 was the working of the gravity train. Here, the first of the two departures (13:25) is pushed out of Corris station. In the background is the line's recently acquired Orenstein & Koppel 0-4-0 diesel hydraulic locomotive 25721.